The beauty of nature in conjunction with man’s artistry in architecture provides exhilarating scenery worth enjoying. Below is a list of the top ten destinations that are deemed iconic and worth paying a visit from lonely Antarctica to the historical Taj mahal in India to the Plains of Africa in the Serengeti. It is the least explored continent in the world and therefore the wildest destination on earth. It is also the place with the lowest temperatures, most winds and highest in altitude. Antarctica brags of snow covered mountains, turquoise icebergs, glaciers, a deep blue sky and perfect site of aurora borealis. It is also known for being the sole continent without substantial land plant and animal life but its shoreline is home to the penguin colonies and blue whale viewing. They are Egypt’s main attraction and rated as one of the world’s seven wonders. • They are rich in history that takes you back to the earliest periods of civilization referred to as a wonder of the ancient times. The Pyramids of Giza were built over 4500 years ago and boast of an architectural design used for their construction that cannot be copied by the present world. They also offer the view of the Egyptian sphinx and the other pyramids from a distance. They are host to The Great Pyramid of Giza the largest and oldest pyramid among the Giza pyramids. It’s a favorite destination for history enthusiasts as it carries with it a 5000 year mystery. It is said that the sun, the earth and Stonehenge have been placed such that the sun rays slip through the upright stones when glanced over the face of Salisbury Plain and this acts as the main tourist attraction of this iconic destination. The Taj Mahal is also a historic memorial built by Emperor Shah Jahan of the Mughal community of Central India as a tomb for his wife, Mumtaz Mahal. It took a total of 22 years for 20,000 workers to complete the tomb and it is viewed as a symbol of lasting love. 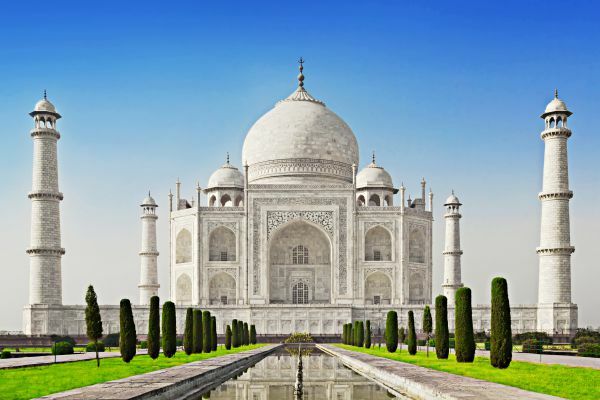 It is made of marble and was also rated as one of the Seven Wonders of the World. It appears to be in a variety of colors depending on the time of day and the pieces of art in the Taj Mahal are also a tourist attraction. It is a mystical ruin from the 15th century that is located at an altitude of 8,000 ft in the Andres of Peru, between Machu Pichu and Huayn Pichu. It was an Inca Empire built in 1450 and defeated by the Spaniards in 1572 and was lost to the world till its discovery in 1911. It has three primary constructions worth viewing namely, the Temple of the Sun, The Hitching post of the Sun and the Room of the Three Windows. 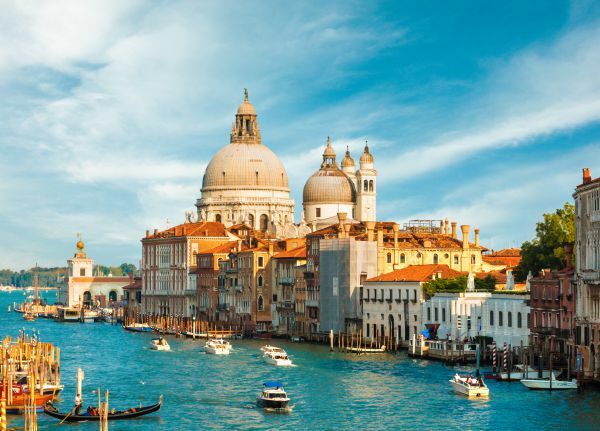 It is situated in the northern east of Italy and comprises of 118 islands separated by canals known as Gondolas and connected together by bridges. It is the host to aristocratic mansions and artworks dated back to the 14th to 18th century, an eye-catching lagoon that stretches along the boundaries between the mouths of the Piane and Po rivers. It is also the only pedestrian city in the world which is very fascinating. It is located in the plains of Eastern Africa and is host to one of the Seven Wonders of the World, the enormous migration of about 1.2 million wildebeests from the Maasai Mara in Kenya. It also offers a variety of wildlife for the nature lover, home to the lions, buffaloes, cheetahs, leopards, the African elephants, the endangered rhinoceros and other wild animals of the African plains. The Serengeti offers a view of riverine forests, volcanoes, different rock formations, wide grasslands and a number of exotic tree species. It is home to the statue of Christ the Redeemer that stands at the top of Corcovado Mountain an international monument. It has historic sites worth exploring, glistering beaches, green stretches of the rain forest. It is the host to Rio carnival which takes place annually for a whole week. Maracana stadium is quite an attraction for passionate football fans as it is considered as the holy stadium of football. It is comprised of six islands that are full of nature and covetable views that attract tourists that love nature and visiting the wild. The Volcano National Park will entice the nature enthusiast while the thick forests and rocky hills hypnotize the tourist. It offers a number of activities to engage in such as whale watching, surfing and hitch hiking. It is a lonely island in Australia with a number of sites worth visiting such as the wineglass bay and the Freycinet National Park in its east coast, the boutique vineyards and the eye-catching Tamar valley in Tamar. It is home to the Cradle Mountain in its north west and the Gordon River Wilderness Cruise in its west coast. The Hobart and Battery point is also scenic place worth visiting. Alina from UK, travel enthusiast who loves to share her travel stories on different blogs. Presently she working on behalf of Bahrain Visa which provides Visa assistance to visit Bahrain.